The new Virtuoso Composite Stable door works in the traditional way with the upper and lower leafs operating independently. This stable door is different from many others, it is not a standard cottage door simply cut in half. Each leaf is completely surrounded by a rigid sub-frame offering stability & security. 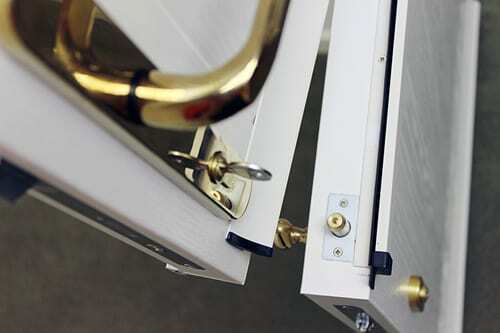 Stable doors can offer an ideal solution for your home. Whether a rear door leading to your garden or a classic front door, this stable door can suit any application.